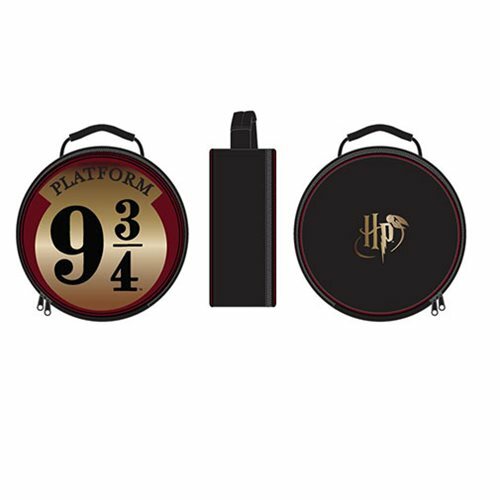 Stay fueled with well balanced meals and snacks on the train to Hogwarts with this Harry Potter 9 3/4 Insulated Lunch Box. This insulated lunch box includes a zip closure and a top handle for easy carrying. It measures approximately 9 1/2-inches tall x 9 1/2-inches wide x 3 1/2-inches long.